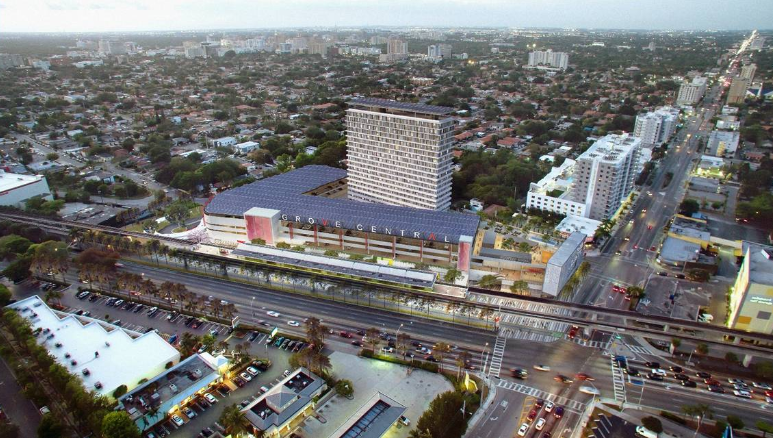 Today’s Miami Herald featured the future Grove Central Metrorail station developed by Terra Group and led by Friends of The Underline Board of Directors member David Martin. This station of the future boasts a monster solar battery that powers the station and a direct connection to the future Underline. Mr. Martin “hopes the project could set a precedent in the city – a region with the most to lose to rising seas but little movement in the development world to build a more resilient community.” Read the full story here.